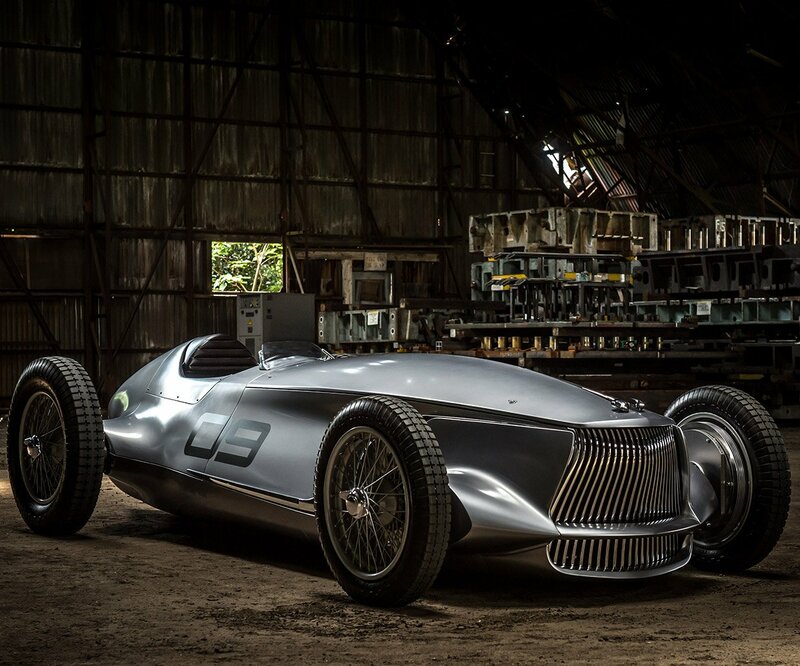 A few days back, we got a sneak peek at the prototype car that Infiniti is bringing to the Pebble Beach Concours d’Elegance this year. Now, we’ve got the entire car in our sights, and it’s a stunner. 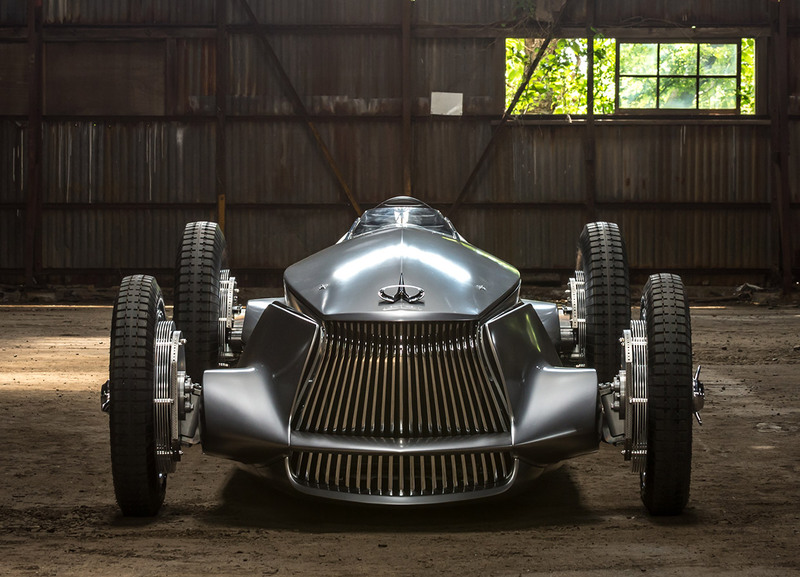 The car, known as the Infiniti Prototype 9, is simultaneously a tribute to the streamlined racers of the 1930s, and a look forward to the electric drivetrains of the future. 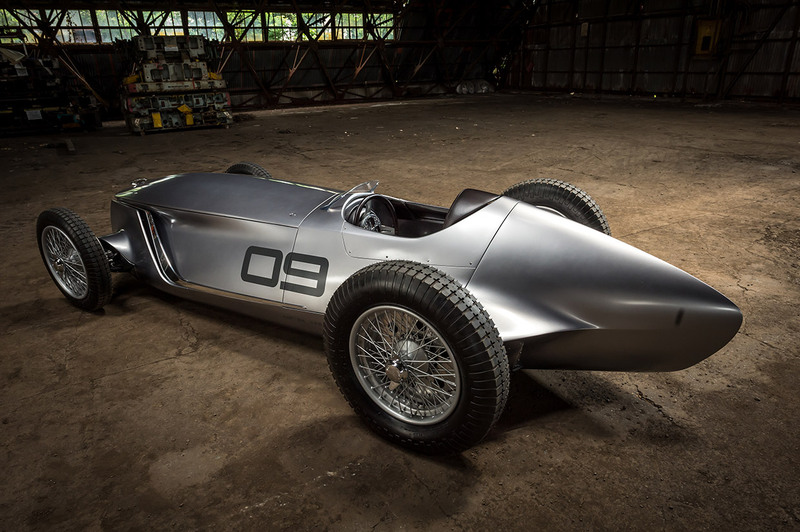 The single-seat race car was build from a traditional steel ladder frame, and wrapped in handmade steel body panels, and riding on center-locking 19″ wire spoke wheels. 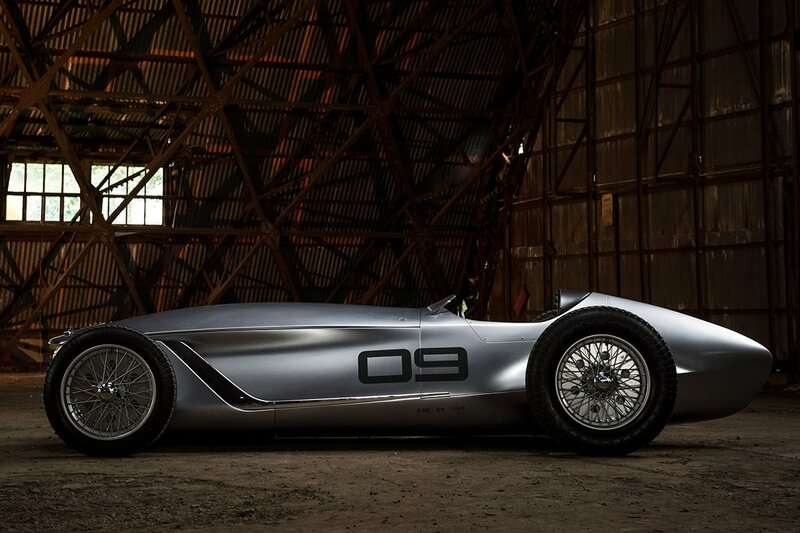 Despite the lack of modern materials like aluminum or carbon fiber, it weighs in at just 1,962 pounds. It’s amazing how much weight you can cut by skipping conveniences like air conditioning and passenger seats. 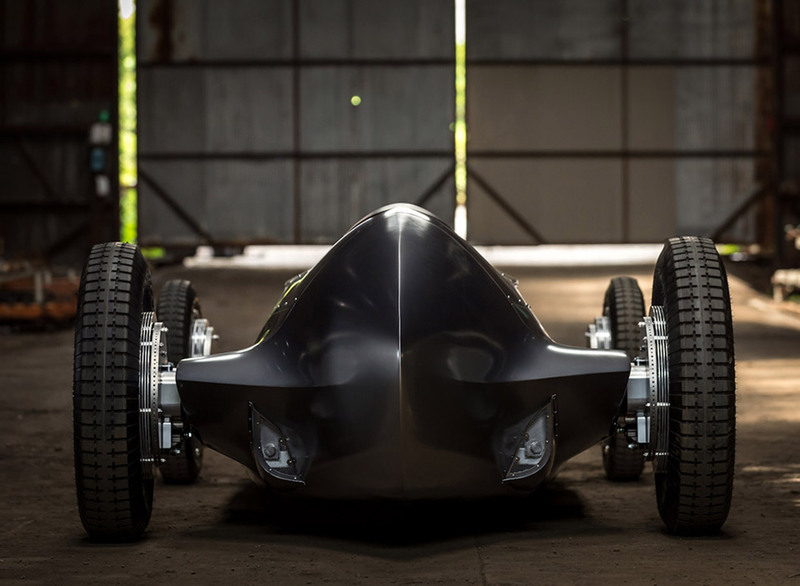 An electric motor drives the rear wheels, producing 148 hp and 236 lb-ft. of torque. That might not sound like a ton of power, but thanks to its weight, the Prototype 9 still can zip from a standstill to 60 mph in 5.5 seconds. And I’m sure it feels even faster with that open cockpit design. And in a move that’s a 180º opposite from the steer-by-wire systems Infiniti is using in its Q50 and Q60, this car has direct, manual steering without any kind of power assist. 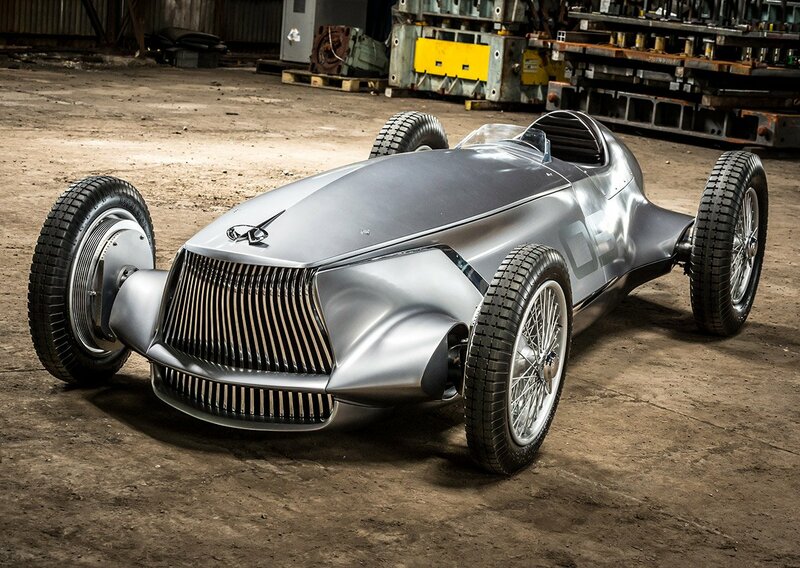 Naturally, Infiniti has no plans to produce this car, but it’s a nice way to give their brand a bit of much needed attention, and perhaps some of the styling we see here will inspire the company’s design team to step out of their comfort zone even more with future production vehicles. If you’re fortunate enough to be headed to Pebble Beach later this week, you’ll be able to check the Prototype 9 out up close and personal.